As a Triathlete – you’re probably deeply in love with the Sports. Coming to think about it, you could probably swim, cycle and run the entire day and consider it a day great spent. However, as a Coach committed to your best interests, I’m fully aware of the fact that strength training is crucial. Running with a painful knee is no fun, and if you’re serious about longevity and vitality – my Kettlebell strength program presents the perfect solution uniquely tailored to your specific needs and requirements. It’s so simple it will only take 30 minutes of your time per session, with 3 trainings per week required in order to enjoy the immense, powerful benefits! Oh – and did I fail to mention you’ll require minimum equipment and that the Program is extremely easy to follow? Forget all about wasting money on gym membership and start saving those pennies for aero wheels with my top quality course that will provide you with everything you need in order to succeed! Why would you follow my Program? We all want something we can do anytime, anywhere, without having to do too much thinking. In order to assist you in getting the most fun, benefits and enjoyment out of your Exercise program while minimizing your expenditures I have utilized the full extent of my experience and cherry – picked the best, easiest to learn and most beneficial exercises for you to follow. Enjoy feeling powerful benefits of exercising every major muscle, including: lats, chest and shoulders for swim, quads, glutes, hamstrings and calves for run and cycle as well as the core to assist you in transferring the power efficiency and keep a good form. The best of all is – the exercises are incredibly easy to learn and incredibly beneficial at emphasizing your core stability and posture that will improve your endurance and stamina during sport – specific performances. 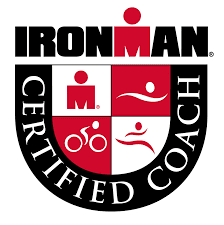 I help triathletes to get stronger, improve their movement quality and eat better so they can feel physically and mentally strong and achieve their goals.